Many people have taken breaks during their careers and wonder how to explain the gap in their experience. My suggestion: embrace it, just like students do with a gap year. Last week, I caught up with a friend Ann, a stay-at-home mom who is thinking about returning to the workforce. 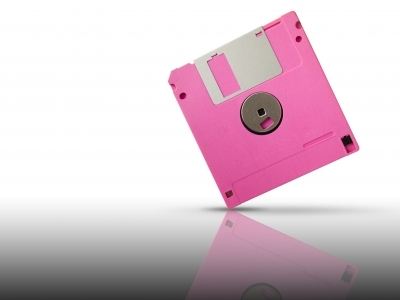 She shared with me a dirty little secret: her latest resume is on a floppy disk. I had to laugh. Not only has she not updated her resume in almost 20 years, she wasn’t even able to open it. As you can imagine, Ann wasn’t sure where to begin creating a new resume. She had done plenty of volunteer work as a stay-at-home mom, but she wondered if it was significant enough to list on her resume or LinkedIn profile. She didn’t necessarily remember the dates of her jobs earlier in her career. She was spinning her wheels, not sure how to proceed. Does this sound familiar? Perhaps you don’t have a 20 year gap, but instead took off a year, or two or three, for personal reasons? If so, you may be asking yourself how you can prove you can still do the job. You may be wondering how to fill your resume with something, anything, to show you were productive during those years. My suggestion is to embrace the gap you have in your professional experience. Don’t conceal it; instead, emphasize what you learned, how you grew, and how you changed. Think like a student who takes a gap year before going to college. As long as they aren’t sitting on their parents’ couches watching TV all year, they tend to gain valuable experience by traveling, working, or volunteering. There’s no stigma, no reason to hide what they’ve done. As my friend Ann started writing a new resume, she tried to hide her years at home by emphasizing her earlier career in marketing. However, through volunteer activities, Ann had discovered her passion for helping the elderly. She enjoyed spending time with older people, helping them with errands, and bringing them to doctors appointments. So, I encouraged her to describe her volunteer work in a way that showcased her passion for helping older people, and to be clear that she was looking for a similar role as a paid employee. Her next draft was spot on and ready to start sending to potential employers. Show that you know how to stay relevant. As you begin your return to work, read respected news sites and blogs for your field. Join relevant groups and follow Influencers on LinkedIn. Write comments on articles posted by these influencers. Read a best selling business book published this year (or two!). And, as you network and start interviewing, ask others for their favorite sources for industry news. Not only is it a great way to start a conversation, you also may discover trends or influential people that missed your radar because of your gap. Identify transferrable skills. Take the skills that you learned during your gap and describe them in a way that will resonate with potential employers. If you started a blog, talk about how you became a better writer or photographer. If you organized volunteers, talk about how you mastered delegation. However, be careful to not take the analogy too far. No one becomes a supply chain expert by packing lunches for their family every morning, or a CFO by balancing their personal checkbook. Highlight what you learned about yourself. What did you learn about yourself or do that you were surprised by? Just as Ann discovered she loved working with older people, what did you learn about yourself that would be of interest to a hiring manager? If you had the opportunity to travel to new destinations, what surprised you about the experience? If you took on an internship to learn new skills before looking for a full-time job, did you find something you wanted to look for (or stay away from) moving forward? Make yourself unforgettable. Breaks from a typical career path can become the fuel for an interesting personal story. What’s your story? Write it, practice it, share it with friends, and then tell it to potential employers. Hopefully, your story will be unforgettable, and they’ll bring you in for a second round of interviews. Do you have a gap on your resume? Or do you know a young person who is taking a gap year before college? What additional strategies would you recommend for embracing it, and not concealing it? I look forward to hearing from you! Previous PostThe $100 TestNext PostAsk the Readers: Do you have a favorite book for parenting AND leadership? Great info Karen! Thanks I am about ready to get back in the job market after a 16 year break! It is more than scary! My resume is on floppy too! Onward and upward! Thanks! How exciting for you. Best wishes as you create your new resume and launch into your job search! Thanks for this Karen! I’m thinking about returning to work in the next few years. Thanks for your comment, Jean. Any employer would be lucky to have you join their team! Thanks for sharing your experience. How wonderful that you can embrace the gaps in your CV!